Please Note: Contains 5 Packets. Enjoy breakfast again with this rich, sweet, crunchy cereal and up to 4 ounces of skim milk or unsweetened almond milk. 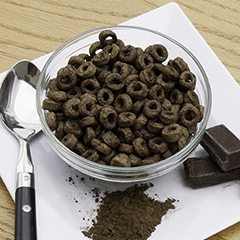 Cocoa O's are Non-Limited and can also be perfect as a chocolaty snack any time of day!